It’s very exciting to consider moving into a new home. Once the initial search phase is over and your offer has been accepted, then it’s time to literally pack up your life. This holds true if you’re moving from apartment to apartment or into a new house. Here are some of the ways that help you prepare for your next move. It’s no secret that everyone who moves does so at the first of the month. That means the last day of the month and that first day will always be the busiest for movers. Even though they say they’re open, chances are they will double book you because they know there’s no other option. That’s why you should schedule your movers on the same day that you turn in notice. You should also let those movers know you want to be there only job for that day. If they can’t accommodate that, then you should take your business elsewhere. The only time he gets very stressful is if you are five days after the big move and you still have most of the house left to pack. It’s not easy to pack when you still working during the day. However, if you can focus on just doing two with three boxes a night then you will be head of the game long before the moving day shows up. Just work through your house from all the nonessential things like books, movies, music and other keepsakes until you get to the stuff you use all the time like your clothing and your kitchen items. Just as you shouldn’t wait to book your movers you also shouldn’t way to switch over utilities. Changing electric and water is easy that is usually happens externally. But it is hooking up cable and telephone that is always a waiting game. You should book those companies for the day after you move in. Just make sure you identify which box has all your cables to hook up the TV. 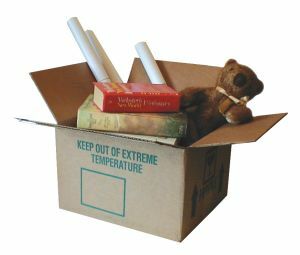 A big mistake that a lot of people make is packing up things that they would probably throw out once they unpacked them. If you’re taking along furniture that you know you’re going to replace, then you’re just wasting valuable space on your big moving truck. You also going to be taking up time with your movers to bring those things in and out. Instead, hire Junk King Sarasota to get rid of all your unwanted stuff. You can set up the session a few days before you actually move out. Or you can leave everything behind that you want to get rid of and let Junk King come in the following day. Don’t start a new chapter in your life with old junk. Give it to Junk King Sarasota. This entry was posted in Sarasota Junk Removal and tagged clutter, Junk King, junk removal on October 23, 2017 by Junk King. Last updated October 23, 2017 .